Robert R. Wiggins received his PhD (1995) and MBA (1977) from the University of Texas at Austin, and AB (1975) from Vassar College, Poughkeepsie, New York. 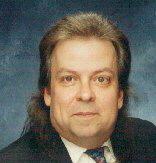 A native of Texas, he worked for the IBM Corporation in New York City, and then started his own consulting firms in New York and later in Palo Alto, California, and Austin, Texas, before joining Tulane University as an Assistant Professor of Strategic Management and Information Systems in 1995. At the University of Texas at Austin, Dr. Wiggins served as assistant director of the Information Systems Management MBA program, one of the top ISM programs in the nation. In August, 2002, Dr. Wiggins joined the faculty of the Fogelman College of Business and Economics at the University of Memphis as an Assistant Professor of Management, and in 2004 was promoted to Associate Professor and awarded a Suzanne Downs Palmer Research professorship for 2004-2005. Dr. Wiggins has published articles on hypercompetition (Strategic Management Journal, 2005), the importance of industry (Strategic Management Journal, 2003, 2005), competitive advantage (Organization Science, 2002), statistical methods (Management Science, 2000), strategic groups (Academy of Management Journal, 1995), and on strategic risk (Management Science, 1994), as well as a book (with Ed Tittel), The Trail Guide to CompuServe (Addison-Wesley, 1994), in addition to hundreds of articles in popular computer magazines including MacUser, Windows User, Computer Shopper, Home Office Computing, Mobile Office, and MediaDirect CDROM (Japan). His current research interests concern sustained competitive advantage, the content of corporate strategy, hypercompetition, information systems strategy, and the behavior of economic systems. Dr. Wiggins is a member of the Strategic Management Society, the Academy of Management (where he serves as the Webmaster and ex officio member of the Executive Committee of the Business Policy and Strategy division), the Association for Information Systems, the Southern Management Association, and INFORMS, and serves on the Board of Directors of Ray West Warehouses, Inc., a privately-held logistics firm in South Texas.